London: The inaugural British Asian Media (BAM) Awards saw the South Asian media and advertising fraternity come together to celebrate and felicitate diversity, emerging trends and campaigns that empower the South Asian media industry. 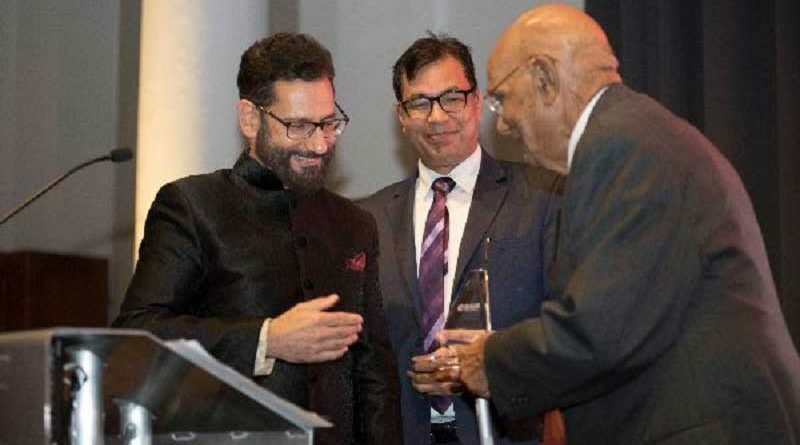 The award took place under the aegis of the India Gazette at the historic Great Hall at Kings College in London on 31 January. Star Plus was presented with the media channel of the year award, while Sony Entertainment Television picked up the award for best reality show of the year for Indian Idol Season 10. NDTV 24×7 retained its position as the most trusted and leading Indian news channel by winning Indian news channel of the year award. Two special awards—media impact of the year and diversity champion—were given to Sunrise Radio managing director Tony Lit for his contribution to the British Asian media industry, and Sky Multicultural chief Debarshi Pandit for bringing in new ethnic advertisers for exclusive sports broadcasts, respectively. Dunya News walked away with the popular Pakistani news channel of the year award, while Geo News won the Pakistani news channel of the year (industry) award for unparalleled journalism. B4U Music won the music channel of the year award. TRS Foods was adjudged the best marketing campaign of the year for its 360-degree multimedia approach through the Lovers of Flavour campaign. Westmill’s Spread the Joy with Tolly Boy campaign was recognised as the best charity/community campaign of the year. Southall Travel won the marketing brand of the year award for its persistent presence on key South Asian properties across TV, radio and outdoor. Eros Now won the OTT platform of the year award. The advertising agency of the year award which recognised the work by full service multicultural agencies was won by Here and Now 365. The award was open to all IPA accredited advertising agencies. The awards were supported by ICICI Bank UK Plc, Kings College London, and the India Gazette.